Summer is just around the corner, and that means it’s time to start thinking about your pool again. You want to make sure your pool is a clean and sparkling retreat for your family. One of the most important aspects of keeping your pool clean is maintaining your pool filters. There are a variety of pool filters out there and each one requires different maintenance to keep it functioning properly. Failing to keep your filters clean can cause your pool to have water quality issues that can result in algae, dirty water, or other health issues. Here are some guidelines to follow for maintaining your pool filters. · Sand filters – A sand filter needs to be backwashed on a regular basis. How frequently will depend on the size of your pool and its surroundings. You can expect to need to replace the sand every three to five years. It’s important to use pool filter grade sand in your filter to prevent damage to your filtration system. · Cartridge filters – A cartridge filter cannot be backwashed. It must be removed and cleaned using a filter cleaner. It’s a good idea to carefully inspect the cartridge each time you clean it to ensure that it's still in good condition. 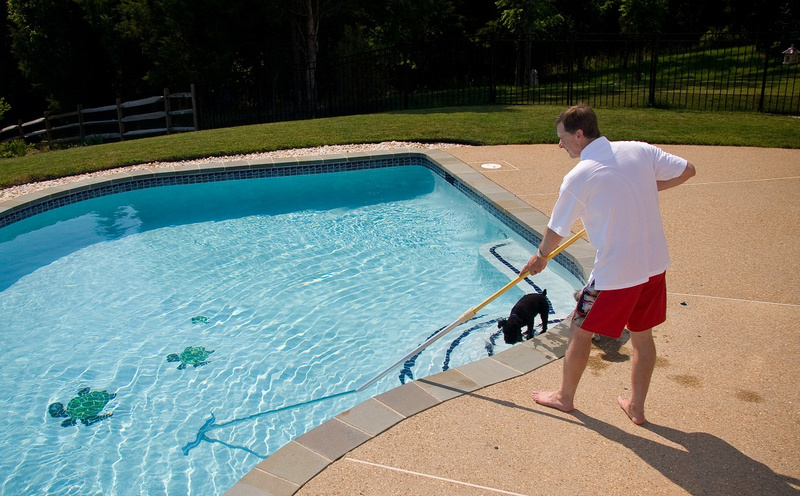 · DE filters – DE filters need to be backwashed as a part of your regular pool maintenance routine. Once backwashed, you need to add more DE media through your skimmers to reactivate the filter. When you notice that the pressure in the system is running 8 to 10 PSI above the clean filter pressure, then it’s time to replace the DE filter with a new one. In the midst of summer heat, you want to make sure that your pool is a sparkling oasis for you and your family to enjoy. A big part of keeping your pool clean is performing pool filter maintenance on your pool in Duluth as indicated by the manufacturer. If you're unsure of what's required, it’s a good idea to consult pool maintenance professionals to ensure that you’re performing the maintenance correctly.